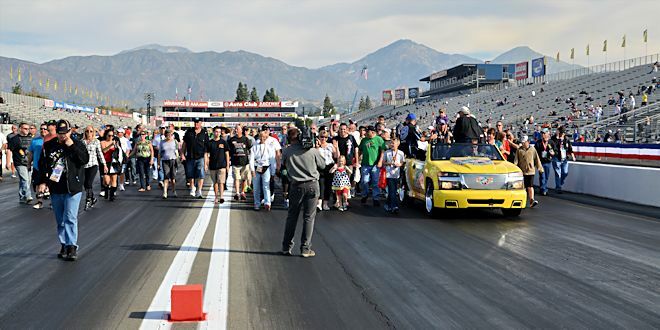 I just received word from a member of the NHRA staff that the Sunday morning Track Walk at the Winternationals will feature all four of the 2013 Pro-class champions. So if you’d like to walk down the NHRA’s world-famous “home” dragstrip with Shawn Langdon, John Force, Jeg Coughlin, and Matt Smith you need to be there no later than 9:30 AM on Sunday morning. It has varied a little from year to year, but access to the track walk is via the return tunnel through the grandstands or the staging lanes.